Oppo, a Chinese smartphone manufacturer, is planning to introduce new smartphone with a brand new design at MWC 2019. The company has filed patent applications demonstrating alternative ways to use Infinity-O design, i.e. using a "pierced hole" on the screen of the device. 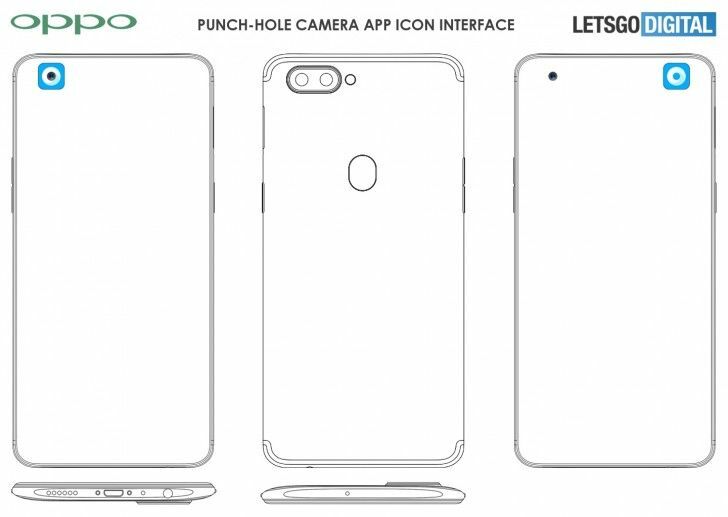 The first patent of the display design seen by LetsGoDigital, reveals the presence of the selfie camera in the upper left corner of the screen. The camera application covers a "pierced hole", along with other applications next. The camera icon will always be in the same place, while other application icons will have the ability to change positions. The second patent reveals the camera in the upper left corner, covered with the camera icon. So, while you scroll through your device, the camera remains hidden beneath the icon and does not look conspicuous. Clicking on this icon opens the camera application, while it will close it by dragging it to the right. As for the rear panel design, the phone has antennas that are mounted on the top and bottom of the back panel. In the upper left corner there is a double setyo of the rear camera with LED flash. The fingerprint sensor is also located on the back of the device. 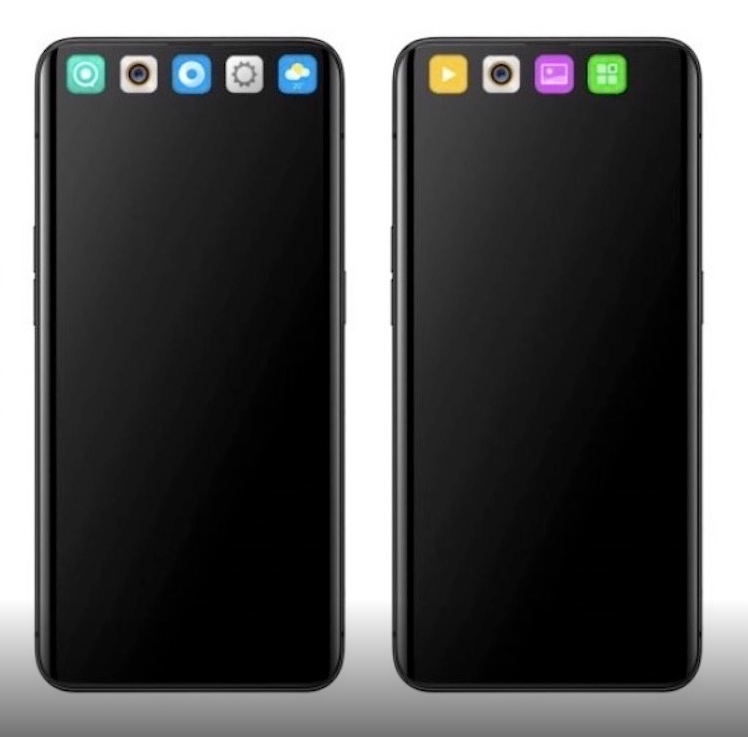 This mysterious OPPO device, which comes with the new screen design, will be seen at an innovation event that will be held next month at the Mobile World Congress in Barcelona.